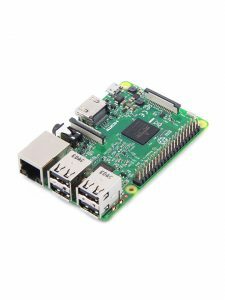 So what we could realize with a Raspberry Pi board? We can list some simple example about the application areas and point out some sites where you can find the projects, some of which seriously complex, and many other really simple. For example you can turn a hard drive on a network drive, make a small web server, configure a home media server, turn a TV into a smart TV, make a video surveillance system or some nerdy arcade consoles retrogaming, a computer for your car, and electronic and home automation applications possible thanks to the GPIO connections; for example we use the Raspberry Pi board to install Octopi in our 3D printers, so as to make them accessible via the network and can be managed through OctoPrint web. To share a bit ‘of links we can think of this Tumblr site where there is a large collection of projects or read this article: it is very simple but gives a good idea of ​​the many possibilities of this great-successful open source product.